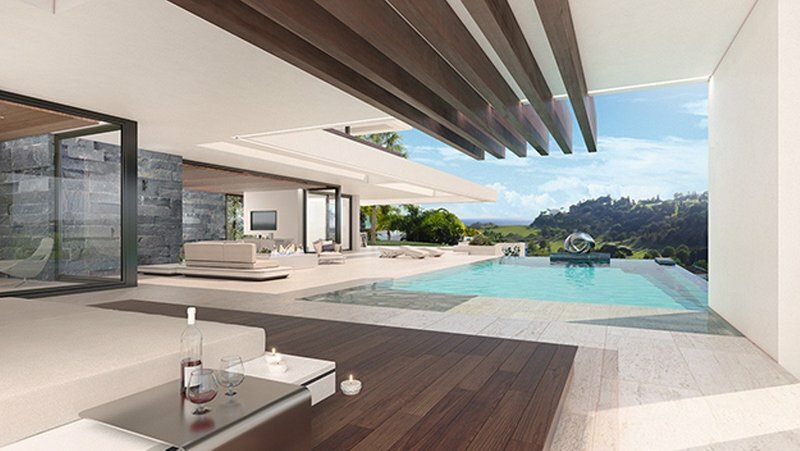 Set on 2 levels, this spacious villa will be built using only the finest materials throughout. 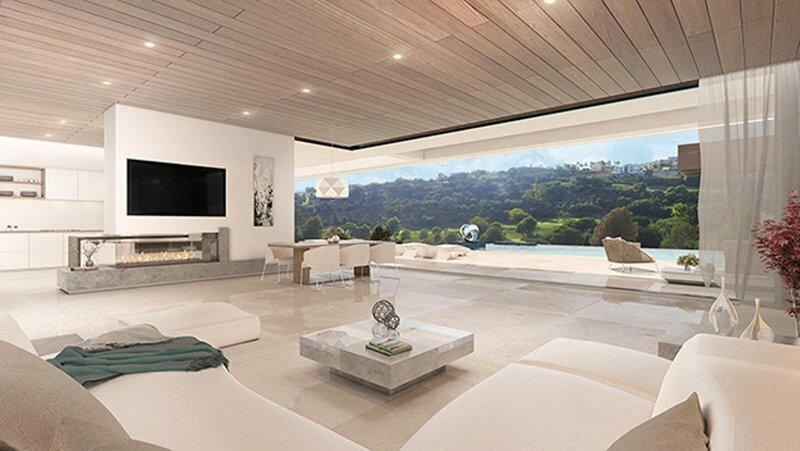 On the ground floor the entrance hall leads to over 40m2 of open plan living space with fantastic views and a separate, fully fitted kitchen with island. Both leading on to an expansive terrace with sunken chill out area and large 90m2 pool. 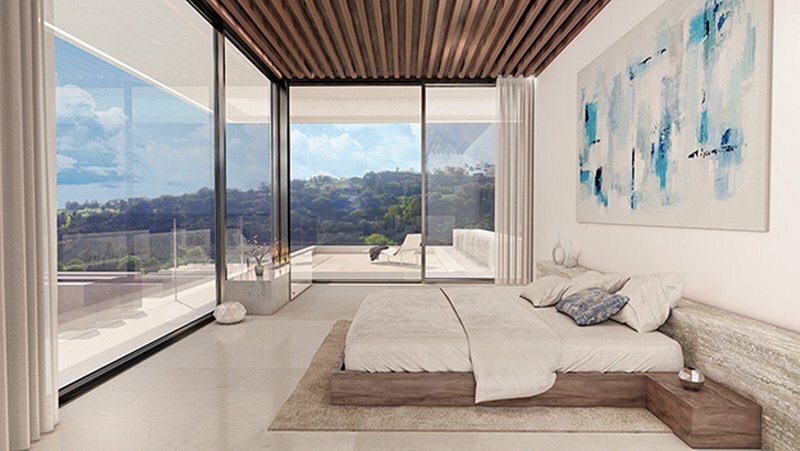 The first floor is home to the master bedroom suite with private access and featuring a dressing room and ensuite bathroom. Two further bedrooms which lead on to their own first floor terrace both with ensuite bathrooms. Designed using the latest techniques resulting in an ecological and low maintenance building. 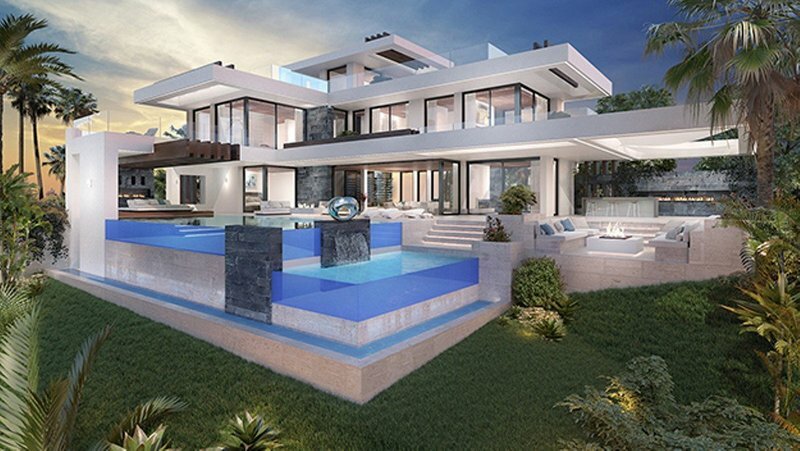 These unique frontline golf villas are elegant and modern at the same time, the stunning architecture mixes traditional Mediterranean & contemporary style.